Free download Alien Terminator Deluxe PC game. 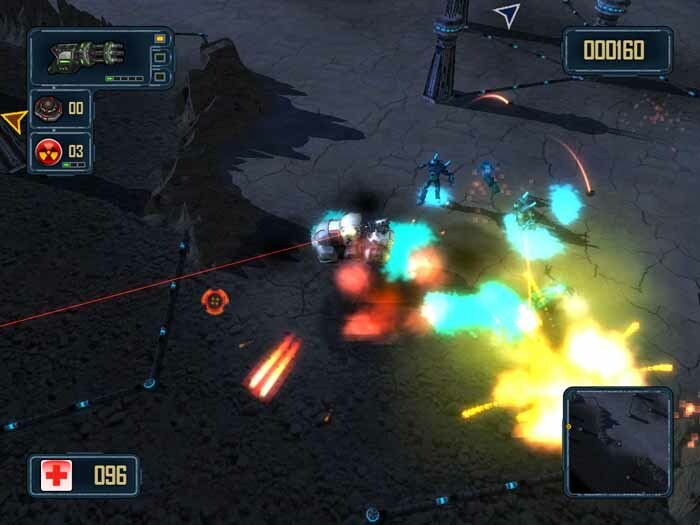 It is action game in which you have to destroy the all bases of aggressive aliens throughout the solar system. You own an armored truck which is loaded with heavy weapons. You have to use this truck to destroy all bases. At the start of a game, your truck is located within building. You have taken out this from building using your weapons. There are hurdles of bullet and bomb proof glasses which will disappear when you will destroy the targets within buildings. Our planet Earth was attacked by aggressive aliens. Humankind, united by single goal, managed to build heavy weaponed and armored truck. It was the truck that was the sole hope of the entire planet Earth habitants. Destroy bases of the aggressive aliens for the sake of humankind.Download free full version game today and start your battle! – Gorgeous effects, huge explosions!